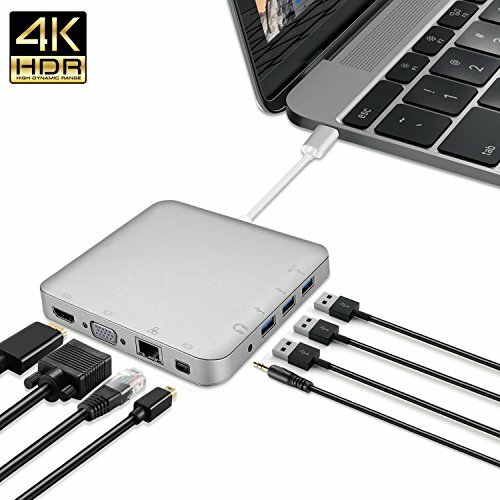 One-stop upgrade for your laptop, desktop or tablet with USB-C and expand productivity with peripherals: Your laptop is no longer constrained by its limited ports. 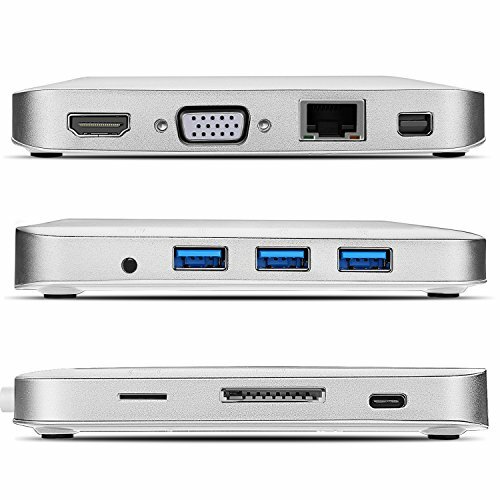 The USB-C docking station connects your laptop to various devices, such as printers, scanners and external hard drives. There's also a Gigabit Ethernet port, headphone jack and audio output to connect external speakers. 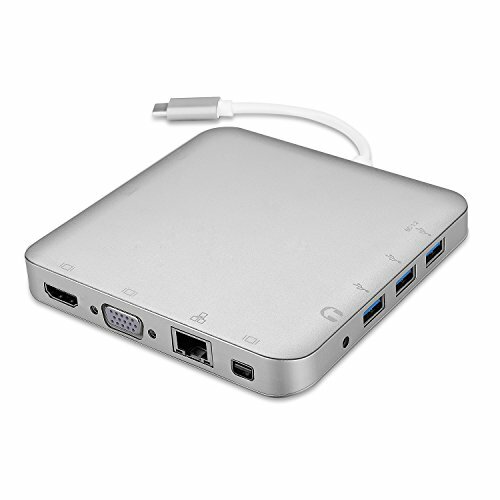 A convenient way to expand the capabilities of your Macbook / Macbook Pro and customize your desktop computing environment. 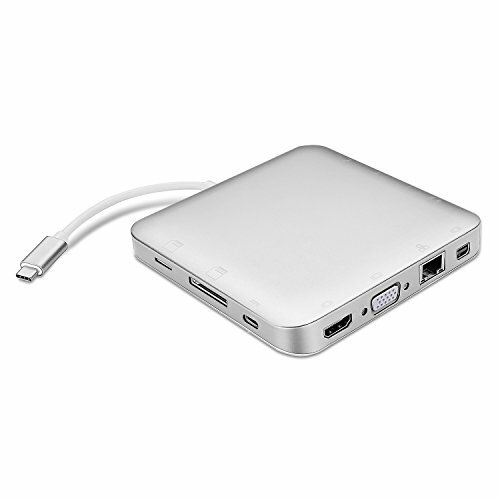 This sleek, compact dock unlocks your entertainment options with high speed connectivity and support for Ultra HD 4K displays. 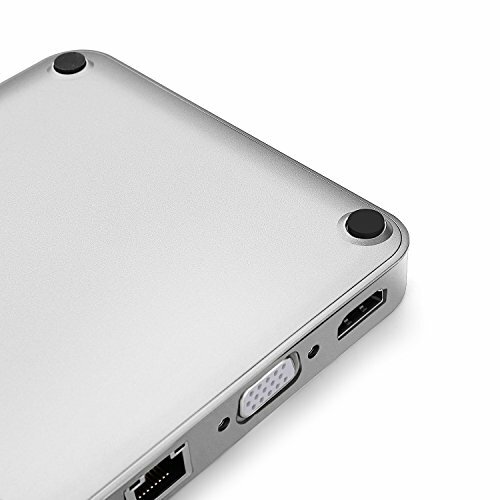 USB Type-C connectivity is the latest and extremely reliable technology for video performance. 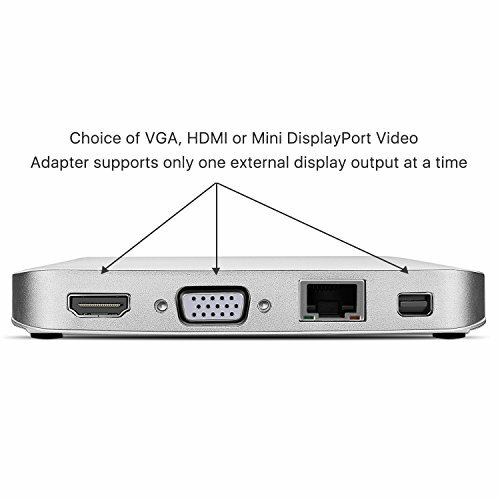 Your display will be crisp and clear.